September 9, 2018 – PM-International, a German TOP-100 medium-sized company and one of Europe’s largest direct marketing companies in health, wellness and beauty, held its week-long 2018 Europe Tour in Šibenik. Amadria Park hosted 1,700 team partners over five days – PM-International’s best attendance to date at its European travel incentive event – a well-earned reward for distributors of its FitLine (nutritional supplements) range. 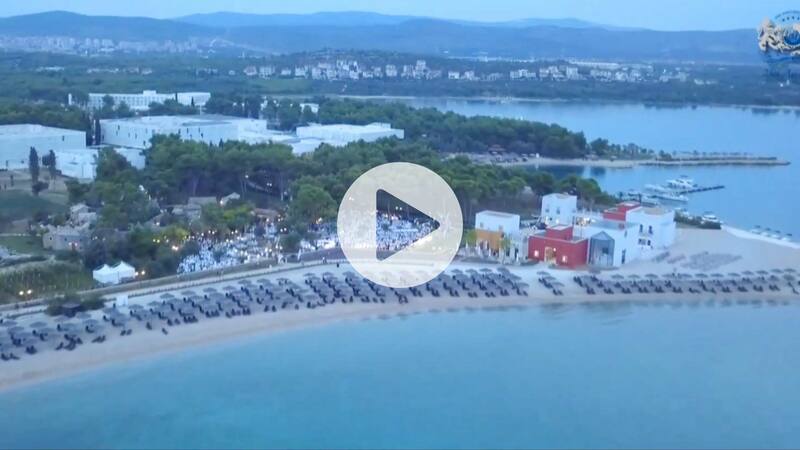 Convention Centre Šibenik’s capability easily handled a business presentation for 1,000 participants and a series of break-out events during this period. Attendees used this great opportunity for networking, sharing experiences and connecting with like-minded people to forge valuable business friendships, while enjoying Amadria Park’s special event venues, including En Vogue Beach Club and Dalmatian Ethno Village, and exploring the beauty of the Šibenik region and surroundings with specially arranged trips to Krka National Park, Split and Trogir and an Adriatic boat cruise. In recognition of its high-performance team, PM-International acknowledges that these events are an invaluable way of combining business meetings with leisure, fostering positive exchange between participants and placing the company in good stead for future growth. A highly successful family-owned and run company, PM-International distributes food supplements (FitLine) and cosmetics (BeautyLine series) worldwide in over 35 countries. It can be found in more than 40 European locations and beyond.